JP Morgan and Mack Real Estate are providing $294 million for the luxury condominium tower. Construction on the 22-story building that is being built by John Moriarty & Associates has begun. A rendering of 150 Seaport in Boston. 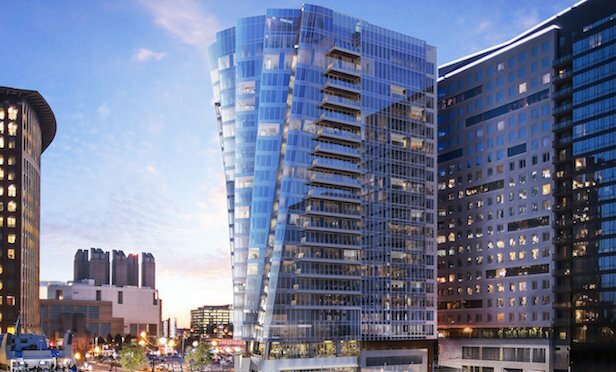 BOSTON—Cronin Development has landed construction financing for its The St. Regis Residences, Boston at 150 Seaport Boulevard development here.